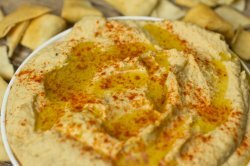 Hummus is becoming more and more popular. This simple recipe makes it easy to replicate your new favorite snack! If you have a party or gathering coming soon, look no further than this for the perfect dish to serve. Packed with robust herb flavors, this dip will be an instant hit! 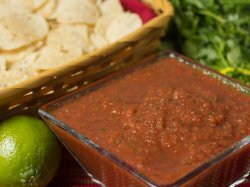 Salsa is a traditional party staple- instead of buying a pre-made jar for your next party, make your own with Alessi Crushed Tomatoes! These are perfect for an after-school snack, a party appetizer or alongside a delicious meal! Serve this side to any potato lover. Mixing the traditional potatoes with garlic adds a delightful twist to an old favorite. Mashed potatoes are a favorite for many people, but adding pesto to this old fashioned favorite is a new twist sure to please any palate. This deliciously simple salad dressing compliments Vigo Artichoke Hearts perfectly. Our recipe for Caesar dressing inspired by Antonino Alessi. 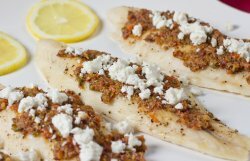 This easy-to-make recipe works as an appetizer or as a quick snack! The perfect idea for both kids and adults. The combination of lima beans and garlic deliver a flavor that perfectly compliments Alessi crispy toasts or crackers. 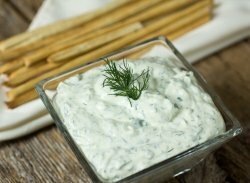 Next time you crave a snack, try this alternative to other dips.